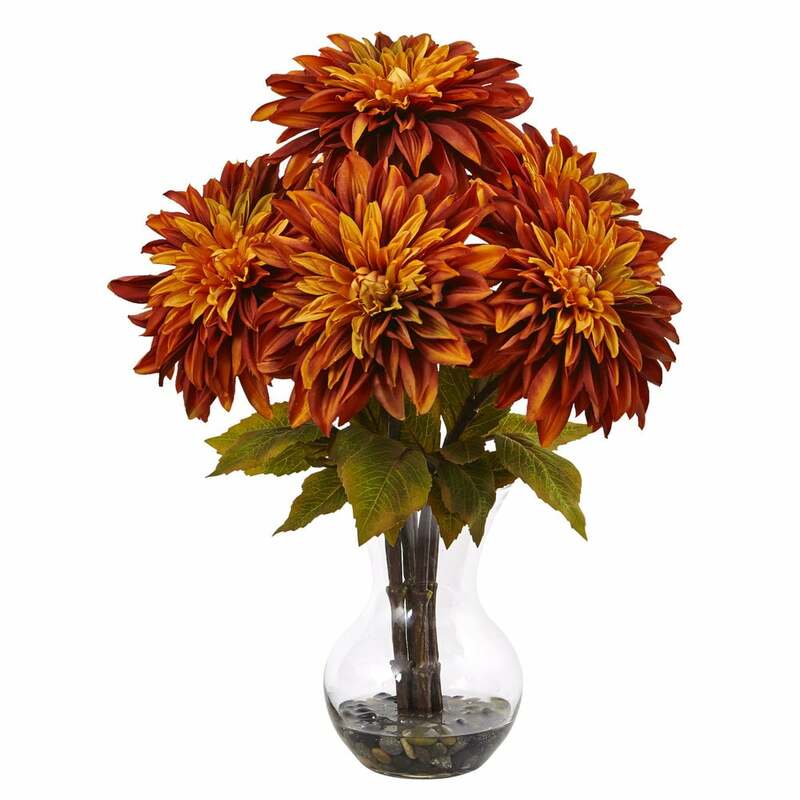 Bursting with color, large Dahlia blooms bundle together for a timeless arrangement, perfect for a fall display or kitchen centerpiece. Crafted with intricate detail to design, each petal is constructed to mimic a true Dahlia flower. Pair with faux fruit or decorative boxes for a complete look. Comes with a faux water vase with stones.